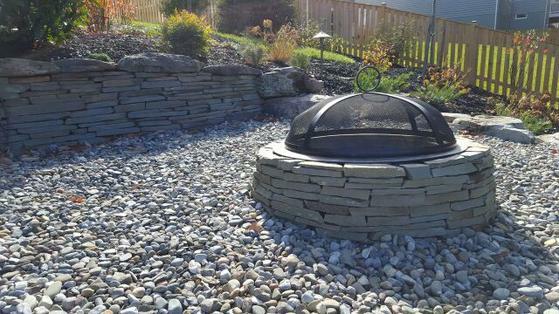 An outdoor fire pit or fireplace is often the most favored patio feature. It makes for an amazing focal point that draws friends and family together in an inviting environment. If you have and enjoy the warmth and coziness of a fire inside your home, you might want to replicate that atmosphere in your outdoor living space. 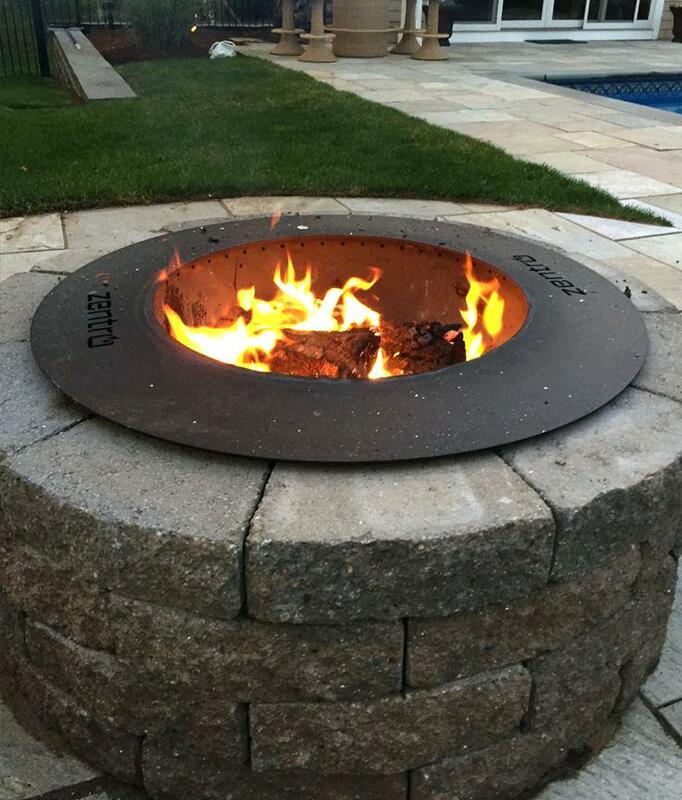 The Zentro smokeless fire-pit is the perfect outdoor gathering spot. The Zentro utilizes secondary combustion, nearly smokeless technology making this an excellent option for those looking for an innovative way to enjoy a campfire. 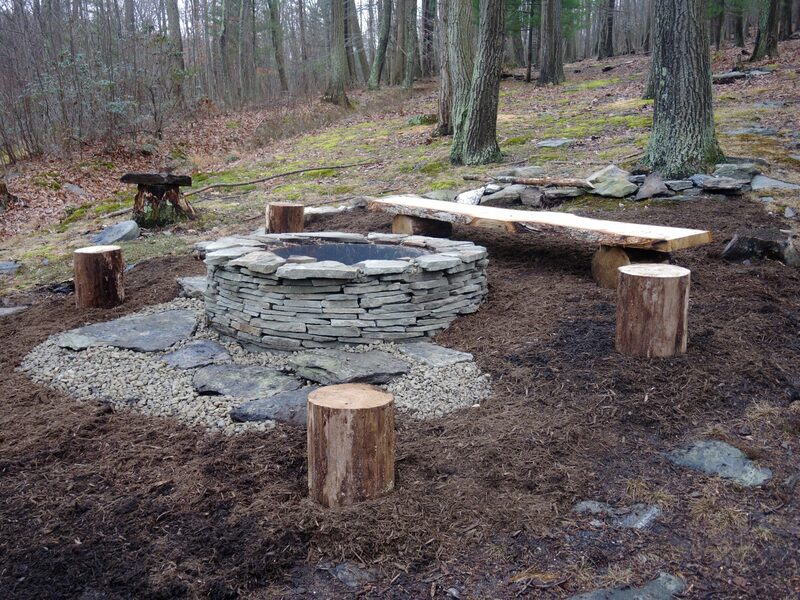 Grab a chair and enjoy the beauty of a wood burning fire without the nuisance of large smoke clouds chasing you around your fire-pit. 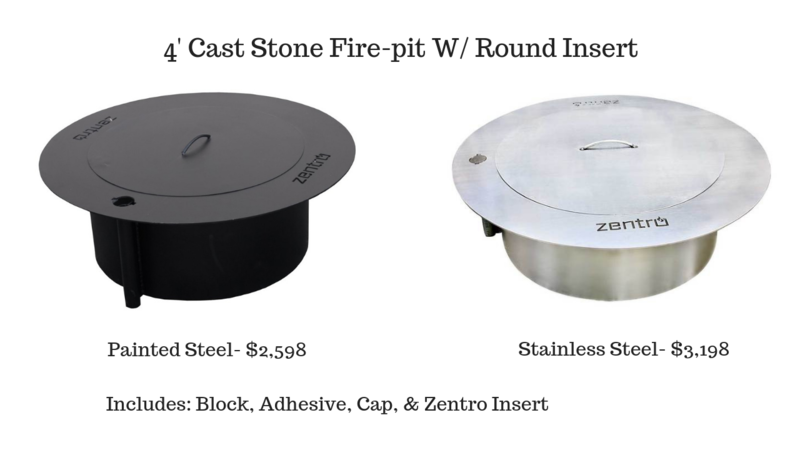 With a great design and amazing accessories see why WE love the Zentro Fire-pit Insert and why YOU will too. What different about the Zentro Insert? 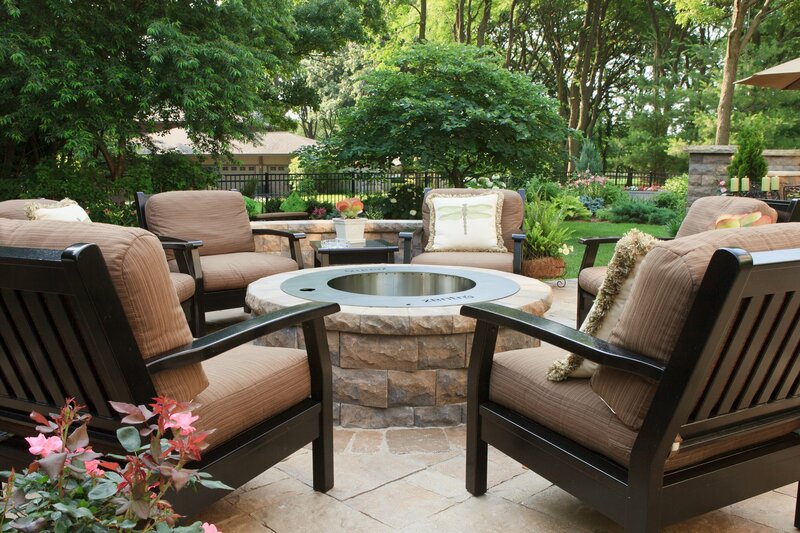 There's nothing like gathering around the fire-pit to bring friends and family closer together. However with most fire rings, smoke is often blowing in someone's face. With these Zentro insets that burning eye feeling is a thing of the past. 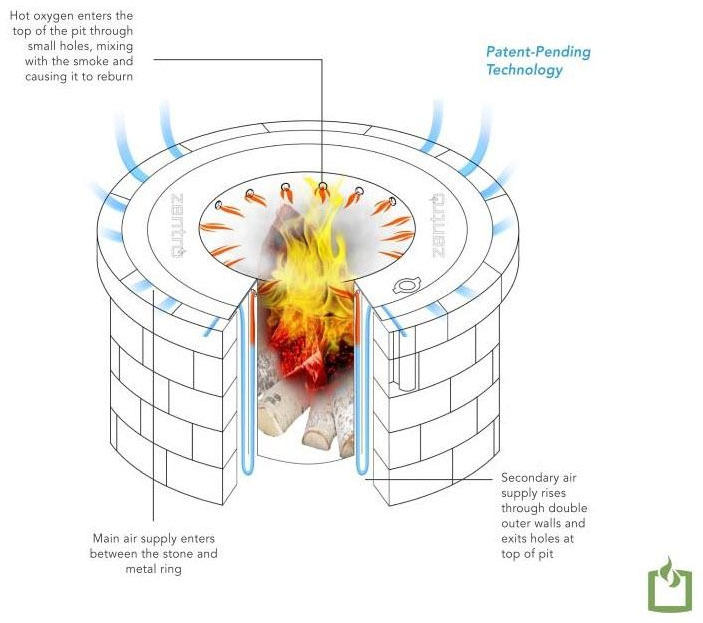 With their Patent Pending Technology the Zentro Fire-pit reburns smoke before it can get anywhere near your eyes. 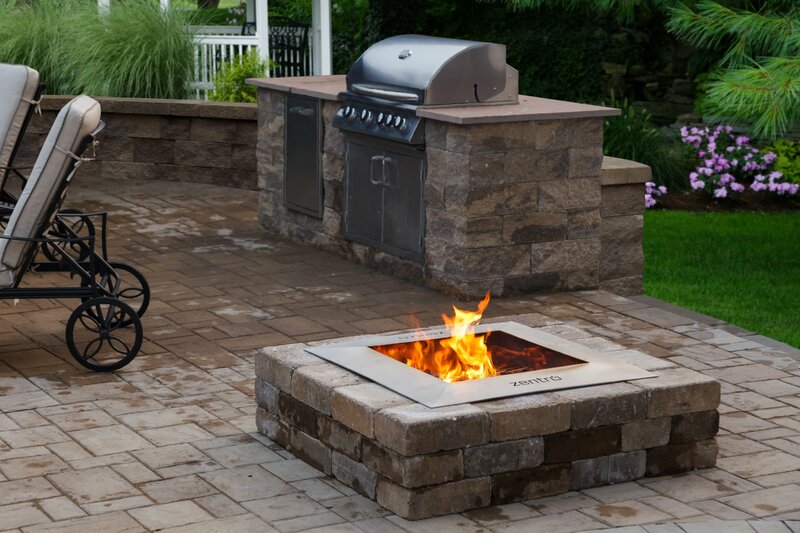 Say Good-bye to navigating your way from the smoke and hello to good times around your new Zentro Fire-pit. 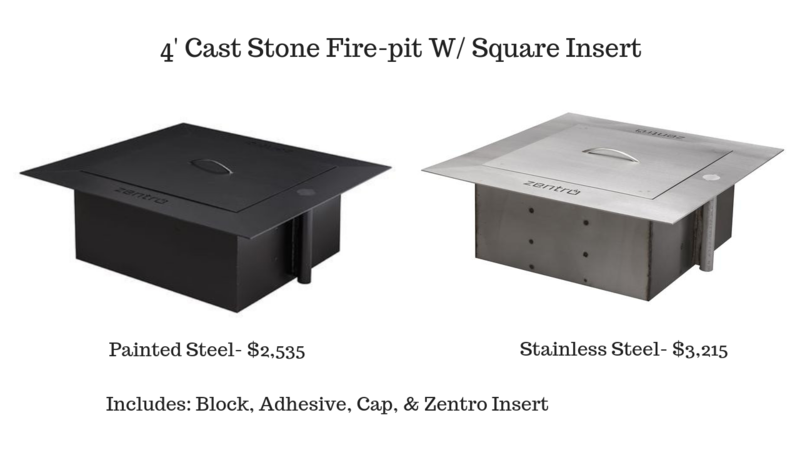 The prices Include the block, high temperature adhesive, stone caps, Zentro Insert of your Choosing and Installation.